If a Colorado sports fan is on your list, check out High Country Candle’s Sports Fan Collection. This set features candles designed to capture the feel of attending a game in person, like the Colorado Rockies candle which offers a freshly cut grass aroma – creative and fun! 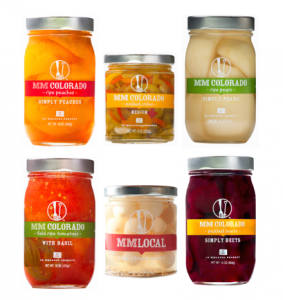 In addition to their line of hot sauces, this Colorado business makes salad dressings, barbecue sauces, and an enticing garlic habanero mustard. We’re especially intrigued by their line of Bloody Mary mixes too! 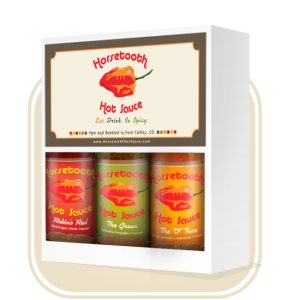 The company makes five different sauces (for now), including one called Wicked Hot for all you folks who like to sweat a little bit when you eat. It’s got a healthy dose of fresh habaneros that pack a wallop! Dram uses organic and wild Colorado herbs which are self foraged to develop their bitters and syrups. No synthetic or artificial ingredients are used and if you’ve got someone on your list who enjoys creating cocktails, these are the perfect gifts! 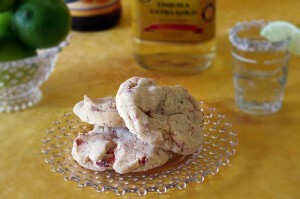 In addition to drinks, you can add bitters to baked goods, juice, tea, or sparkling water for a unique and special taste sensation. 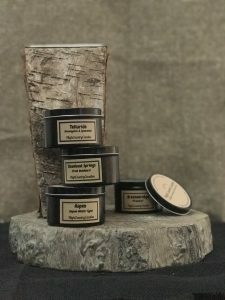 A handsome bitters gift set containing all five of their flavors is available via the “Shop” page at their website. While you’re there, check out the limited quantities of Pine syrup and Juniper Rose Syrup – the pine syrup is literally akin to having the Rocky Mountains in a bottle and can be used in any number of recipes. It’s outstanding on fresh baked muffins! 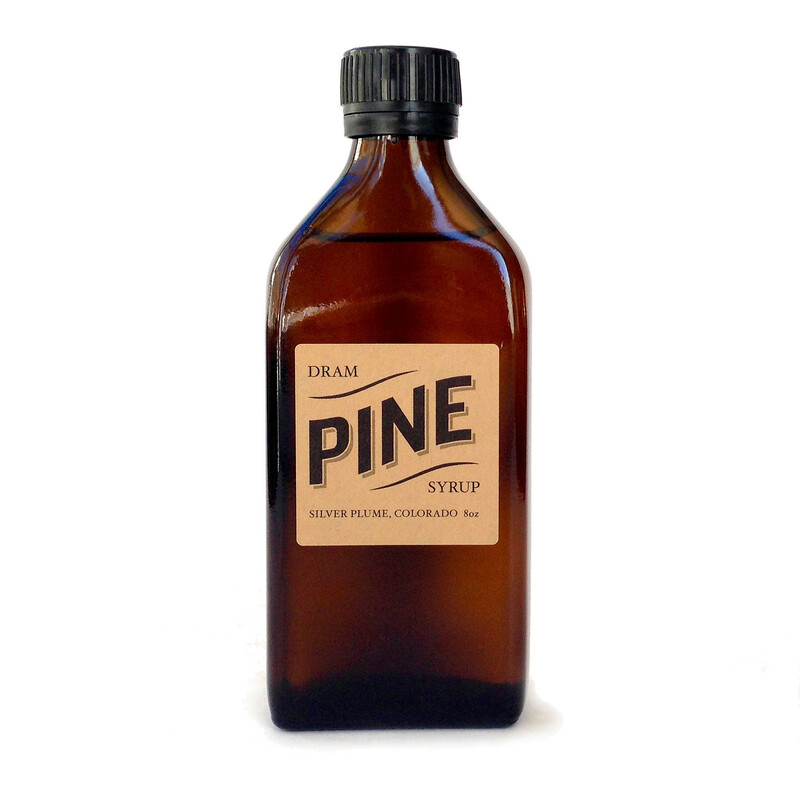 Click through to the Dram Apothecary site and take a look at all their products – big time creativity from a thriving Colorado small business! Caribbean Lime, Chipotle, Garlic Serrano, Red Habanero, Mango Pineapple, and Multiple Personalities Hot Sauce make up the hot sauce product line. Multiple Personalities offers toasted coconut, smoked paprika, honey, onion and garlic along with habanero and ghost peppers for heat. If you like things hot, try this one! Order any or all of the Overkill line directly from their website – they’ll ship right to your door. Feed The Flame! 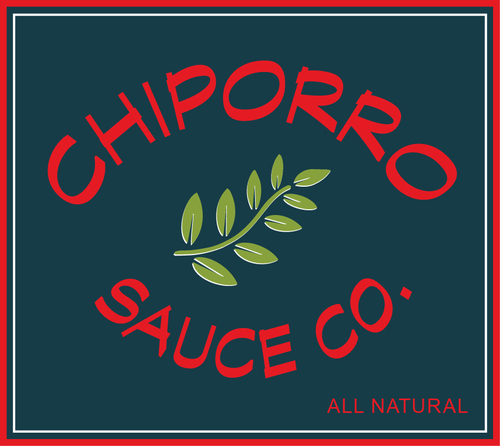 They’re best known for their Spicy Original Cooking Hot Sauce, which is made with a blend of fresh peppers, fresh garlic, vinegar, and olive oil. It offers a nice bite of heat but doesn’t overwhelm the flavor of your food … try it on stir fry dishes or atop fish and chicken. High Altitude Gourmet: Based in Denver, High Altitude Gourmet creates an enticing line of hot sauces, salsa, condiments, and mixers in a wide variety of flavors and styles. 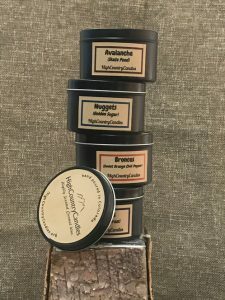 We had a friend send us a few of their products as a thank you gift and we need to do her more favors, these products are really good! We’re big fans of specialty mustard, so we were delighted when we got to experience High Altitude Gourmet’s Habanero Garlic Mustard. In addition to the garlic and habanero, this mustard is made with serrano peppers and lime. Unique and tasty, it pairs really well with grilled pork tenderloin! 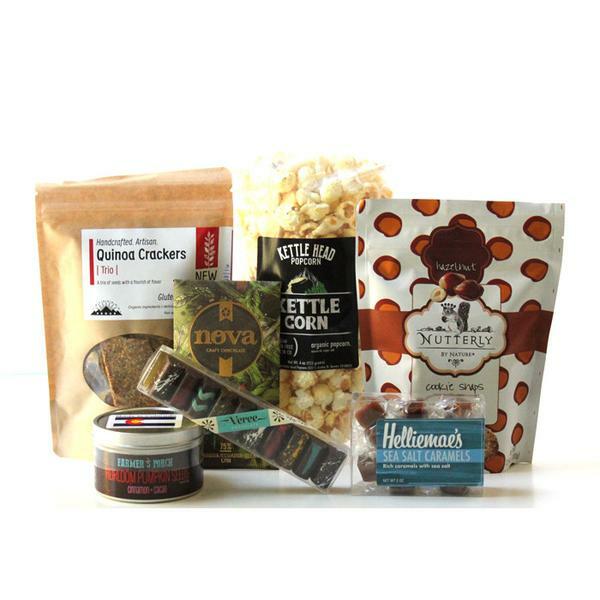 Liven up your meals with High Altitude Gourmet products direct from The Centennial State! Horsetooth’s hot sauce offer a unique flavor profile with some ingredients you won’t normally find in hot pepper sauces. Witness their “The O Face” sauce, made with habanero peppers and tamed with the addition of sweet carrots and cantaloupe. An ideal combination of hot and sweet! Just as intruiging is one of Horsetooth Hot Sauce’s barbecue sauces named “Aloha Mr. Hand”, a veritable party of habaneros and pineapple blended together to sauce up your next feast. 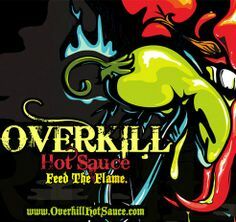 The company also makes two Bloody Mary mixes that’ll come alive with a few drops of any of their hot sauces! Molicious Mustard: Recently, a friend traveling in Colorado brought me back a jar of Molicious Mustard and said “You should add this to your Colorado page …”. Well, we taste tested the mustard and couldn’t add it here fast enough! 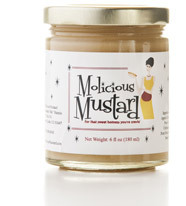 Molicious Mustard is a sweet and tangy blend that’s great on sandwiches and hot dogs (and many other types of food Id imagine!). It really has a unique taste … kind of eye opening but not overwhelming … just a really, really good mustard that’s ideal for you or as a gift! 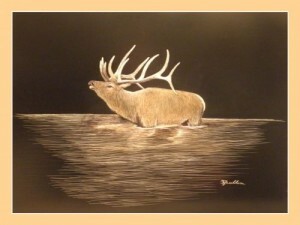 Cullum’s Wildlife Art: One of the best gifts to yourself or your family is local artwork. Art captures the essence of time and place, retaining and bringing back the memories of special vacations, visits, or time spent. We like to publicize local artists here at State Gifts USA, particularly those whose subject matter is the wildlife or vistas of their home state. That’s why we’re pleased to introduce you to Cullum’s Wildlife Art, showcasing the works of Colorado artist Bill Cullum. Bill specializes in Colorado’s wildlife, like the print shown of a majestic elk crossing the Colorado River. 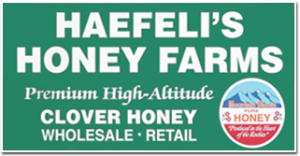 At their retail shop just off Route 160 in Del Norte and from their online store, Haefeli Honey offers you the fruits of their labor. Raw, unrefined honey, candles, beeswax, and gift boxes are just some of the products you’ll find. Visit their website and get yourself an edible treasure from The Centennial State! At their online store, you’ll find Raw Wildflower Honey, Orange Blossom Honey, Creamed Honey, Gift Packages, and much more. There’s a lso a wide selection of beauty products like beeswax lotions, candles, and soap. 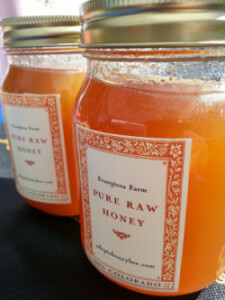 Honey, as you may know, is extremely good for you – it’s a natural source of energy and helps ward off common maladies. If you live locally in Colorado, it’s also an excellent natural way to mitigate the effects of seasonal allergies. Click through to their website’s store to order! 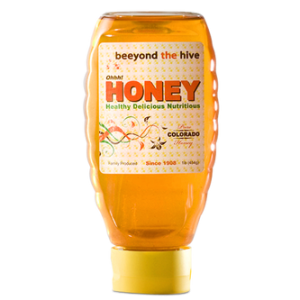 Honeyville Colorado: Located in beautiful and historic Durango in the far southwestern section of Colorado, this company has been in the honey business since 1918. If you enjoy sampling exceptional small batch edibles, take a look at the Colorado Crafted website, linked above. You’ll find gifts targeted for your office, for him, for her, and themed gifts like chocolate and bath & body. You can also conveniently shop by price and right now there’s free shipping across the U.S.! Colorado Crafted is shopping for local artisan goods made easy – we’re proud to showcase them on our Made in Colorado page! 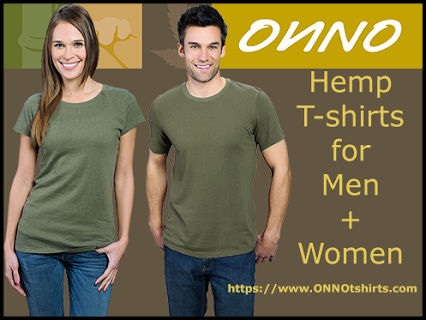 Check out the Onno T-Shirts website to see all the different varieties available – you can shop right there at their online store. Cool tote bags are waiting for you as well! A creative gift idea and made in Colorado! Tasting Colorado: Here’s a nice all purpose gift idea that anyone with a connection to Colorado will appreciate … it’s a cookbook titled “Tasting Colorado: Favorite Recipes From The Centennial State”. 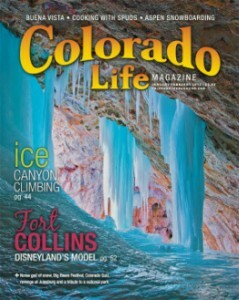 You can learn more about Tasting Colorado here at the FarCountry Press website. While you’re there, check out their many other Centennial State related titles too! Published six times a year, each issue contains stunning photography, stories about Colorado’s most interesting people and places, and so much more. You’ll get an insight into what makes the state great along with tips on travel destinations, dining, current events, and leisure activities. Whatever isn’t used is donated to local thrift stores, in keeping with the company’s motto of “new, not more”. Elisabethan creates tops, skirts, and fashion accessories in an ever changing selection. No two items are the same, and you’ll feel great buying and wearing these garments knowing they were created from cast off clothing that would otherwise be thrown away or wasted … a terrific gift for the eco conscious gal on your list! The bags are modern in convenience yet have an Old West feel … locally sourced antique horse tack and hardware are incorporated into each design and meticulously attached. Most of the work is done by hand with great attention to detail … check out the gallery on the Cibado site to see the process and the end products. 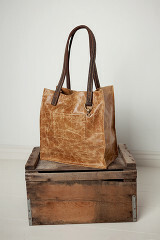 You can shop online and own one of these beautiful, sturdy, functional bags. What a great gift from Colorado as well! Browse the Re-Giftables Etsy Shop to see many of her unique designs, including necklaces and money clips … all one of a kind items! 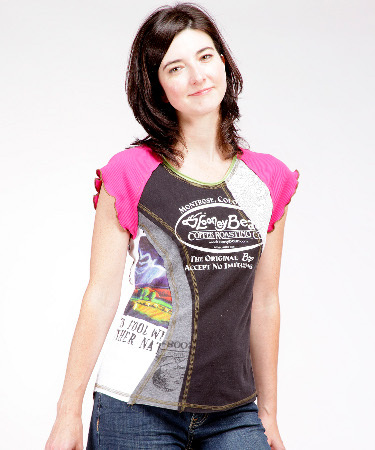 See all of Sally’s creations online here at Completely Colorado …. Paws Barkery Dog Treats – Woof! Woof! 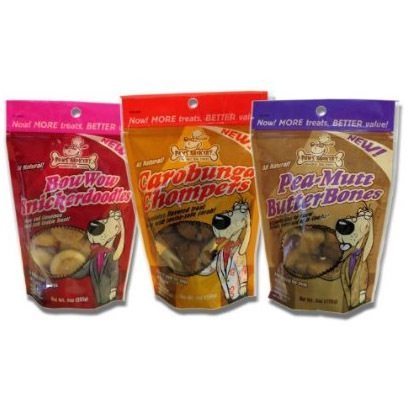 Paws Barkery: Paws Barkery from Evergreen CO produces a line of hand made all natural dog treats in three flavors dogs love … carob, peanut butter, and Snickerdoodle. The Snickerdoodle has real cinnamon and vanilla in the recipe, and carob is a safe chocolate substitute (chocolate is toxic for dogs!) but tastes just like the real thing. Further, woolen garments from Smart Wool are very soft to the touch (and to your skin). If you’ve shied away from wool garments because they tend to be scratchy, try Smart Wool and see how comfortable premium wool can be! ItzaDog Recycled Dog Collars and Leashes: We’re big on fashion accessories made from recycled and upcycled materials, and here are a few for your four legged friends! They also make a unique product called the pet silencer, which attaches to your dog’s ID tags to prevent them from clanging around and making all sorts of nuisance noises. Clever! Wow – Strawberry Margarita Cookies! You don’t need to visit The Mile High City to experience the great tastes of Victory Love and Cookies. Click through to their website and visit the “Shop” tab and you can get them delivered anywhere in the country, either for yourself or as an impressive Made in Denver gift. Enjoy! Hammond’s Candies: Usually we’re right on top and well aware of historic home town businesses, but even with a recent visit to Denver we were unaware of the city’s most legendary candy company. Thankfully, Hammond’s Candies was pointed out to us by a friend who’s from Denver, so better late than never, we’re proud to introduce you to them! Since 1920, Hammond’s has been creating sweet confections for the good folks of The Mile High City, including chocolates, taffy, caramel corn, peanut brittle, and much more. One of their most recent creations is a chocolate bar called Pigs N’ Taters which takes the combination of sweet & salty to a new level. As the name implies, it’s a milk chocolate bar mixed with bits of bacon and potato chips. Another of their creations is their PB & J Sandwich, a chocolate bar mixed with bits of peanut butter and jelly! In late 2005, Lee ran into an administrator from the culinary school who suggested he bake his cheesecakes in single serving jars. 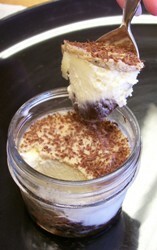 After several attempts, Lee perfected the process and introduced his line of Original Cheesecakes in a Jar in 2006. Helliemae’s Salt Caramels: Owner Ellen Daehnik of Denver has produced rich, complex caramels for a growing market since late 2010. 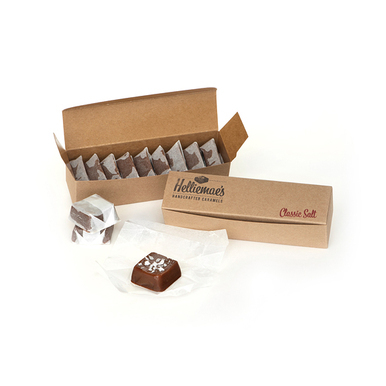 Salt caramels are a unique type of caramel … dark with a deep taste and coated with flaky sea salt. 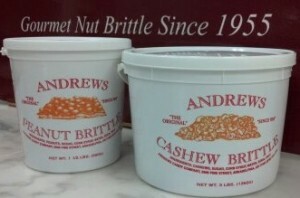 Best known for their brittle, the company makes several flavors like peanut, cashew, pecan, and even sunflower brittle! At their online store, you’ll see all of the cheese available for sale – you can have them shipped anywhere in the U.S.! Local honey, goat milk soap, and special gift baskets are available as well. 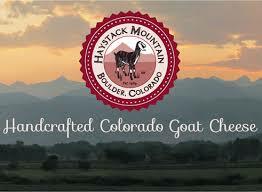 Click through and check out the wide variety of cheese made by the highest elevation goat dairy in the country! M.M. Local Foods: This innovative company is at the forefront of bringing the best products of local Colorado farmers to the rest of the United States – they partner with farmers to package the best pickled, fermented, and preserved produce at the peak of freshness so everyone can enjoy the farm to table experience. Quinn Popcorn: We’re pleased to introduce you to Quinn Popcorn, a Centennial State company that makes our all time favorite snack, popcorn! The company produces microwaveable and already popped varieties in some really interesting flavors. How about Cheddar & Chipotle, Popcorn with Organic Coconut Oil, Kale 7 Sea Salt, and Hickory Smoked Cheddar just for starters. Only real ingredients are used and their microwave bags are made from compostable paper with no chemical coatings. Quinn Popcorn has a really neat feature on their website where you can look up each ingredient in your popcorn bag to see where it comes from (hint: it’s all from the USA). More importantly, this stuff is delicious. We spotted a display at one of the stores in our area, bought two bags, and loved it! And isn’t sharing the love what popcorn is all about?? You’ll find a store locater on their website and you can buy it online there too, of course. 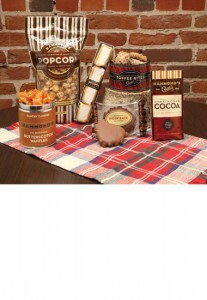 If you know someone who appreciates really good popcorn, buy them some from Quinn Popcorn – they’ll love you even more! Available at specialty stores and local restaurants in The Centennial State, distribution of their product is expanding to other states as well. 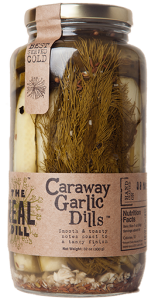 They’re beautifully packaged and with varieties like Jalapeno Honey Dills and Caraway Garlic Dills (pictured), the company is becoming a pickle force to be reckoned with! 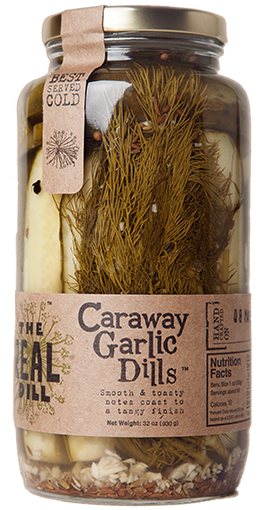 Enjoy the fresh artisan flavor of Colorado with The Real Dill! 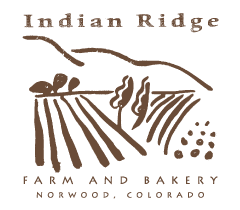 Indian Ridge Farm & Bakery: Known for their signature product called Addictive Granola, Indian Ridge Farm & Bakery is located in Norwood, CO and also has an operation in Boulder. If you’ve ever turned your nose up at granola thinking it’s lacking in flavor, we encourage you to try this product because it will change your mind! On our most recent trip through The Centennial State, we picked up a bag of Addictive Granola as a car snack. The bag we bought was their flagship product called Original Honey Almond. Intrigued by the ingredient list showing local Colorado honey, we gave it a try and it is just what the name says – addicting! We don’t eat a whole lot of granola but this is far and away the best we’ve ever had. Original Honey Almond contains a blend of organic oats, crunchy sunflower seeds, almonds, honey, and pure vanilla. The perfect combination of crunchy and sweet! The company makes gluten free versions as well as a Chia Cherry variety, made with chia seeds and local tart cherries. 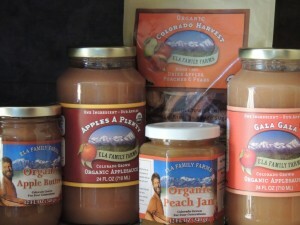 A great healthy Colorado gift for yourself or anyone who likes to eat healthy! You can buy any of the Indian Ridge Farm & Bakery granola products by the pound or in convenient 12 ounce pouches. 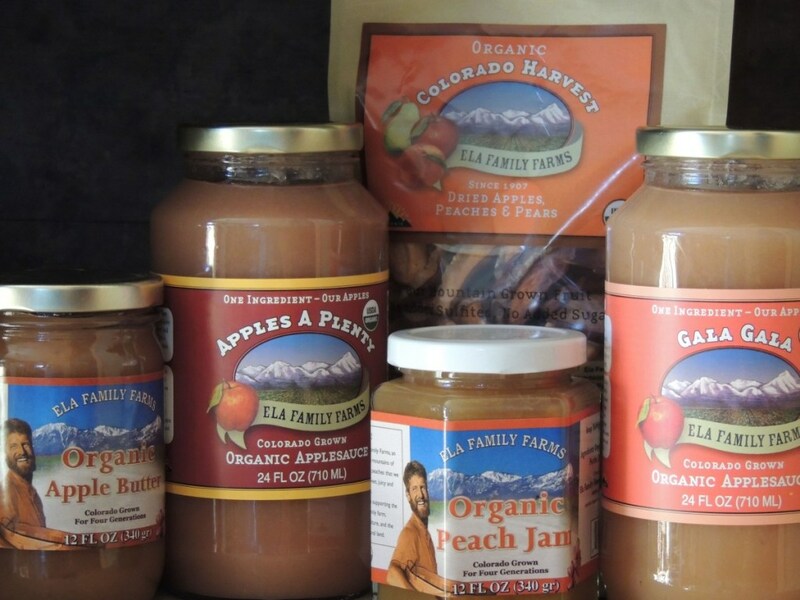 Check their website to see where you can buy locally in Colorado or order directly online! We’ve enjoyed some of Pappardelle’s Pasta over the years on trips to Denver … their Artichoke & Lemon Ravioli is other-worldly … but we’re here to brag on their pesto sauces. We were never that big on pesto sauces until one of our Naperville buddies here introduced us to his freshly made pesto (which we’re still trying to get him to market! ), and that led us to actively seek out locally made pesto. We’ve not enjoyed better than what’s made at Pappardelle’s! 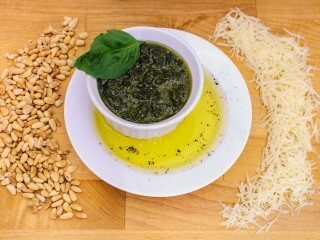 Our favorite is the Traditional Basil Pesto but we also absolutely love their Cilantro & Roasted Poblano Chile Pesto – it has the earthy, smoky flavor of both the cilantro and poblano peppers along with the traditional pesto spike of garlic. They’ve got great pesto recipes on the Pappardelle’s site too! Of course, the company is best known for their fresh pasta. 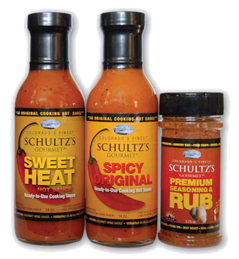 They also make a variety of other sauces, like their Portabella & Roasted Garlic Sauce, a great match with any of their signature products. A gift of Pappardelle’s is ideal for any budding chef or your favorite loved one who enjoys puttering around the kitchen. Direct from The Mile High City! First, we love almost every kind of cheese, and with that said, let’s talk about why we’re so passionate in seeking out high quality American made goat cheese. One selfish personal reason is goat cheese is naturally lower in fat than other cheese. Yet like its counterpart, it’s very high in calcium, protein, and scores of helpful nutrients. Now, let’s introduce you to Haystack Mountain Goat Cheese. 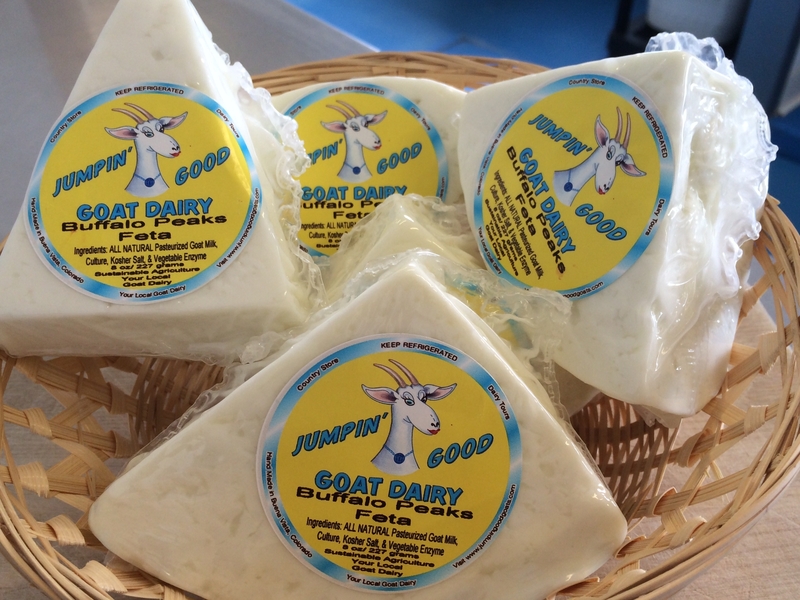 They are an award winning nationally recognized goat dairy based in Boulder County turning out some pretty exceptional products. The company has been around for over 25 years and their goat cheese can be found in some of the nation’s most prominent cheese caves and stores. If you’re looking for a true Made in Colorado gift, you’ll find it here! We’d like to call your attention to a gift package available at their site called The Foothills Collection. It consists of five of their goat cheeses, local honey, and artisan crackers – ideal for a Colorado tasting party! Various flavors and other gift packages are available at their online store. 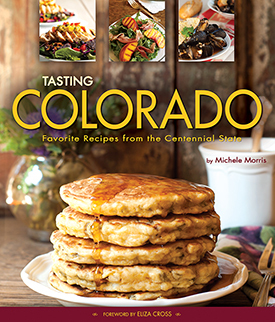 Click through to learn more and to bring the taste of The Centennial State into your home! Peaches Grown In Colorado? Who Knew? A dozen varieties of jam are available, all made from local fresh fruit. Their peach syrup brings a new taste dimension to waffles and pancakes and the peach salsa is absolutely the freshest you’ll find! 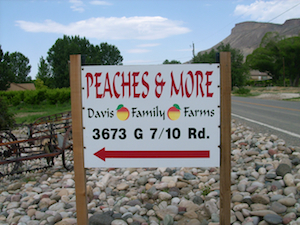 Click through to the Davis Family Farms website to learn more about their fresh Colorado peach products! The company partners with a very worthwhile organization called Colorado Supporting Our Troops and have arranged shipments of 5280 to service men and women across the globe. You can donate a case for our troops too … details are available at their website. Enjoy an energetic Mile High Experience with 5280 Energy Drink! 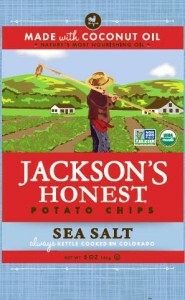 The chips are available in several varieties, including Sea Salt, Salt and Vinegar, and Sweet Potato Chips. 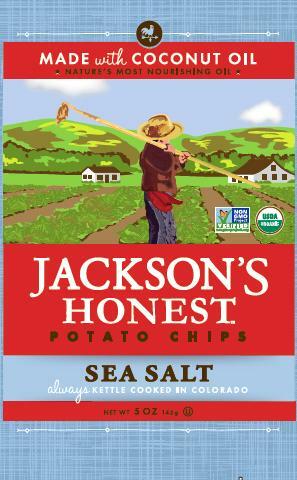 You can order online at their website … the chips are sold in different quantities and sizes depending on your needs. 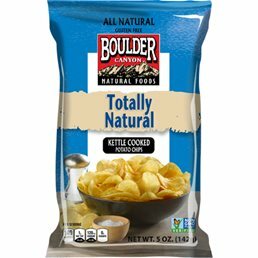 Try these healthy, natural chips from The Centennial State! We love companies like this … those that do things a little differently. 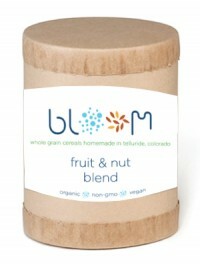 While there are many breakfast cereal companies, there are none we know of who make cereals like their Power Bloom Blend. It’s made with volcano and wild rice, lentils, almonds, ground cinnamon, quinoa, chia seeds, and more healthy ingredients. 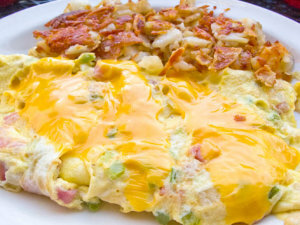 The end result is a satisfying, filling breakfast that’s much much better for you than traditional cereals. Bloom Telluride creates three other flavors. Their flagship product is Pure Bloom, and there’s also Fruit and Nut Bloom and Butcher and Baker Bloom. The company was founded by Tiffany Lyga, who was determined to create a different and more healthy style of breakfast cereal for her family. The company has grown by word of mouth and now you can buy their cereals directly from the Bloom Telluride website … enjoy! 4). Denver is known as the Mile High City. The 13th step of the state capitol building is exactly one mile above sea level – 5,280 feet. Be sure to look at their combo gift packs, which contain a mixture of applesauce, peach jam, applesauce, and dried fruit. Experience the fresh taste of the Centennial State! 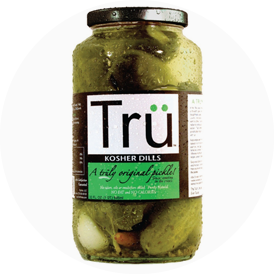 Tru Pickles: Littleton based Tru Pickles jars a variety of interesting pickle oriented products, all based on decades old family recipes. You can buy any of these products online for yourself or as a gift at the Tru Pickles website, where you’ll also find a number of great recipes like pickle wraps, grilled cheese, and pickle spread … everything tastes better with pickles! MouCo Cheese: Based in Fort Collins, this Colorado cheese maker is turning out a very interesting range of cheese, like Camembert, a creamy Truffello, and several other sweet and spicy varieties. These aren’t your standard flavors, and that’s what makes Mouco’s cheese so interesting! Justin’s Nut Butter: If you like chocolate and almonds, you’ll love Justin’s Almond Nut Butter. As the name implies, it’s like a peanut butter but its two main ingredients are chocolate and almonds. The product, made in Boulder, is spreadable just like peanut butter. You can buy directly from the Justin’s website and find a bunch of interesting recipes too! Bobo’s Oat Bars: Out of Boulder, Bobo’s Oat Bars are on the go healthy snack bars made with all natural organic ingredients that don’t sacrifice taste. Some of the flavors include coconut, cranberry orange, banana, chocolate, apricot, and maple pecan. There are also four gluten free varieties and Bobo’s Oat Bars are kosher certified! One of the first long family vacations I remember was a two week trip out west, to South Dakota, Wyoming, and Colorado. And as much as I enjoyed seeing Mt. Rushmore, Yellowstone, and Jackson Hole, one of the most lasting memories of that long ago sojourn was my first visit to Denver, The Mile High City. Being from Chicago’s south side in the shadow of our bustling downtown area, it was always a treat to experience other big cities … and it still is! In the ensuing decades, we’ve been fortunate enough to visit Denver more than a handful of times. The city’s bright sunny days and clear, sparkling air that feels like natural air conditioning never cease to amaze. Denver remains one of our favorite western U.S. cities, and it’s our pleasure to write this brief travelogue. Denver, of course, is an ideal starting point of you’re an outdoors person. You’re within a short drive of some of the country’s best ski areas – Breckenridge, Keystone, and Summit County ski resorts are all a relatively easy reach from the city. Boulder, a thriving small attractive city, is only 35 minutes to the north. 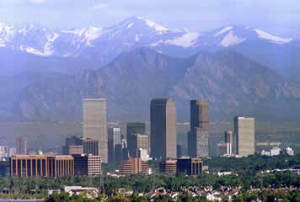 Perhaps Denver is so closely identified with mountainous terrain because every scenic vantage point in Denver offers a backdrop of majestic mountains in the distance. That same scenery is almost always bracketed by bright blue skies – the city basks in an average of 300 sunny days per year! In terms of population, Denver is the 23rd most populous city in America with almost 635,000 residents. The metro area is home to more than 2.7 people. Diversity is one of the city’s strengths, as over 30% of Denver’s population is Hispanic and 10% are African American. If you really want to experience Denver, immerse yourself in its many walkable neighborhoods. 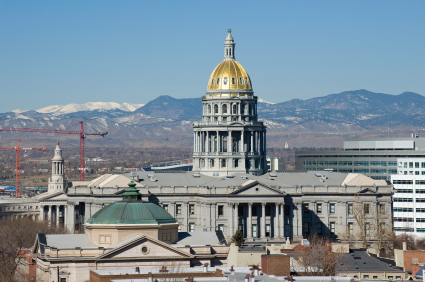 From shopping in Cherry Creek to taking in a ballgame in Lower Downtown (Lo Do) to the beautiful architecture of Highlands, exploring Denver’s neighborhoods is a great way to get to know the city. Denver is pretty easy to get around and there’s ample public transportation, including an innovate bicycle sharing program. 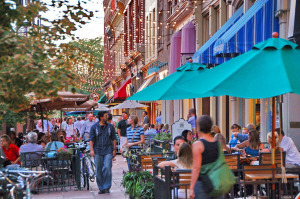 However you get around, a good place to start is by exploring the close together LoDo, Larimer Square, and 16th Street Mall areas. The latter is an excellent place to start your day. Nearby Lo Do is a must see. It’s most lively at night or when there’s a ballgame at Coors Field, the kingpin destination of the neighborhood. One of the city’s leading restaurant and nightlife areas, Lo Do is 28 square blocks of live music, sports bars, and entertainment. We spent the better part of a day strolling around Lo Do and still weren’t able to see it all! If you can, catch a tour of Coors Field, home to the city’s baseball team, the Colorado Rockies. Tours are offered daily seasonally and the views are magnificent! 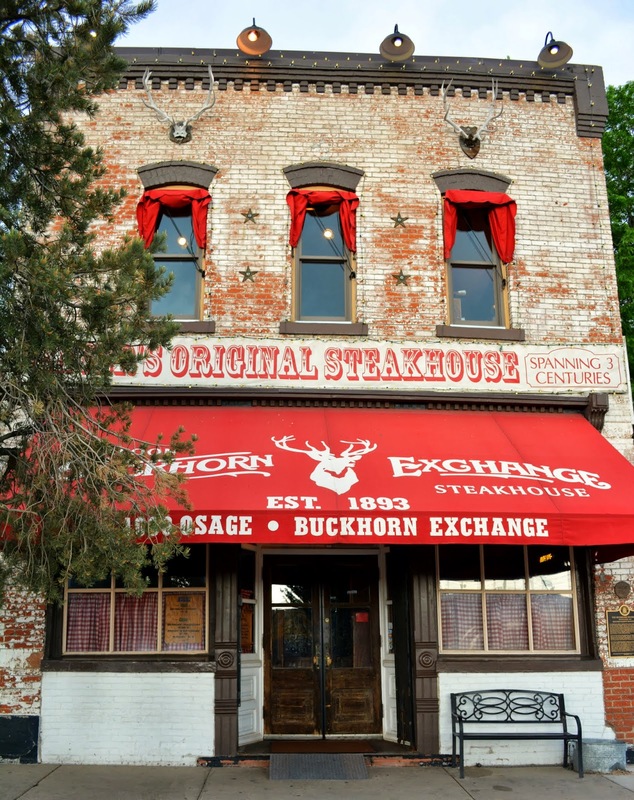 One of our favorite historic restaurants in Denver is the Buckhorn Exchange, one of the city’s oldest restaurants & saloon and less than ten minutes from downtown. Denver is well known for prime steaks and this place has them in spades. The Buckhorn Exchange is well known for their hunting lodge atmosphere and wild game is a primary focus of their menu. Established in 1893, it’s known as the city’s original steakhouse. If all you want is a great cheeseburger and drinks in a classic atmosphere, stop in at the renowned My Brother’s Bar on 15th Street just north of the river. This joint, and we say that in the coolest sense of the word, has been around for over 130 years and was one of the Denver hangouts of Jack Kerouac, Allen Ginsberg, and members of The Beat Generation. 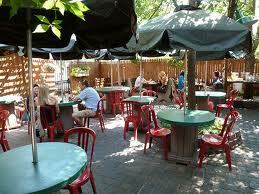 Their specialties are burgers and onion rings and this place too has gotten high praise from The Food Network. if you’re looking for a fancy spit and polish spot – this isn’t it! My Brother’s Bar has rough hewn wooden shelves, an antique cash register that has probably been there for decades, and no TV sets. Turn off your cell phone, soak in the historic surroundings, and enjoy some great conversation! There’s so much more to Denver than this brief travelogue holds. You can get a really good feel for the city in three full days, i.e. a long weekend, but to really explore the neighborhoods you’ll need at least a couple more days. Checking out the restaurants and brew pubs will take at least that long! Be Sure To Enjoy A Denver Omelette! When we visited, we found ourselves lamenting all we missed after we left. You can either envy the locals, or plan for a return visit! Of course, there are all kinds of destinations not far from the city as well. Boulder is one, a cool little city that’s exceptionally rich in brewpubs, and the famed ski areas about 90 minutes away. Outdoor activities are plentiful all year around – it’s a wonderful area of the country if you’re a hiker or skier! 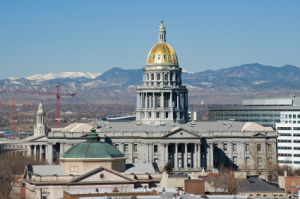 Denver is really easy to reach – there are non stop flights from just about anywhere in the U.S. and major interstates criss cross the city. Bring enough clothes with you – it can be 35 degrees one day and 70 the next! Summer and Fall are excellent times to visit The Mile High City, but the welcome mat is out all year long. Learn more about the city and surrounding area at Denver.org, an excellent resource for things to do, hotels, and restaurants. We hope you too get a chance to visit this beautiful city and find it as enjoyable as we did!